This week on 10 Questions With a Pro we speak to former French international defender Mikaël Silvestre (@IamMSilvestre). In his 19 years of professional play to date Silvestre has been a part of some of Europe's biggest clubs with F.C. Internazionale Milano, Manchester United, Arsenal and Werder Bremen. In more recent years the 40-time capped Les Bleus center-back spent time with Major League Soccer club Portland Timbers and in India's newly developed football league with Chennaiyin FC. FootyFair: You only played for one French club in your career, Stade Rennais Football Club. You are originally from Tours, which is closest to clubs such as US Orléans, Tours FC and LB Châteauroux. Were you a fan of any of those clubs growing up, or was there a different club you follow in France? 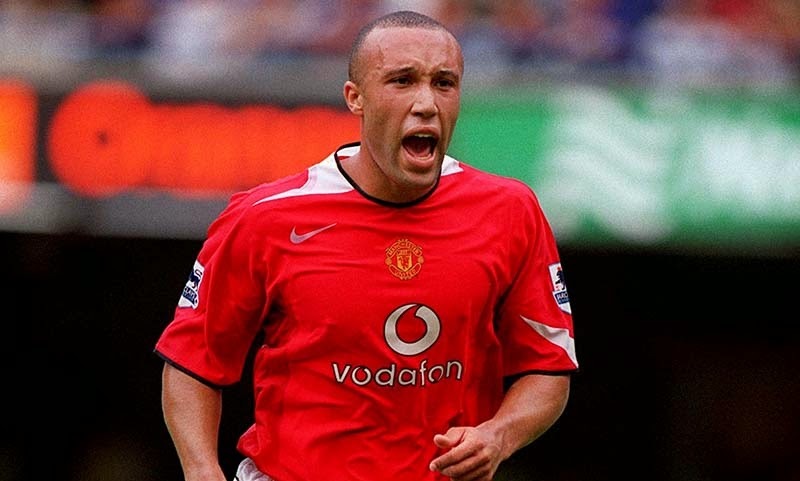 Mikaël Silvestre: I used to live in Tours but I grew up mostly in Saint-Pierre-des-Corps, it's a small town beside Tours known for its massive train station. I played up to the age of 13 with Saint-Pierre-des-Corps a small club, and then I joined Tours FC for two years. I played U15 and at that time the club was professional. I wasn't a fan of Tours FC, I made the move because it was the highest level (club) in the region. It was national U15s, at that age it's divided into groups (based on region) and we played in the group of Brittany (in Northwest of France), so we traveled to Brest, Rennes, Nantes and also teams in Paris. But other than that my dad wasn't a big fan of any team so I used to follow every successful team in France. At one point I was a fan of Bordeaux because they did well in Europe. I was a fan of Auxerre as well as Marseille and later Paris when David Ginola was playing with Valdo and Raí; that was a good generation. FF: In 1999 you were signed by Manchester United who had just won the treble, and were seen as the man who will replace United legend Denis Irwin. How did you handle the pressure, being just 22 years old? MS: It's funny because in 1998-99 when I was playing for Inter we played Manchester United in the quarter-final (of the UEFA Champions League), so I came to Manchester in the first leg even though I was injured, to support the team. So I had a feel for the atmosphere of Old Trafford, it was crazy. And then in the second-leg at San Siro I played against David Beckham. But when I signed for United in the summer after watching them winning the treble and watching the Champions League final against Munich, which was a crazy crazy game, I had no idea that I was going to be there to replace Dennis Irwin, I just wanted to play more. I wanted to play regularly every weekend because at Inter I was not going to be a starter. So when Sir Alex came he said "you're gonna start on the left, but I know you prefer to play in the central position where you play with the U21 (France National Team), but I'll be using you in both positions." So I said "great, I'm up for it, never mind where you play me I'll be happy anyway", and that was it. But I didn't have any pressure because I traveled on Thursday, signed on Friday morning and played Saturday morning against Liverpool, so no time to build any pressure on my shoulders, just jump into the mix and play and try to perform as best as I could. FF: Have you ever had any superstitions or rituals before, during or after football matches? Have you ever seen any crazy or weird ones? MS: [laughs at the question] Personally, no superstitions at all. I'm not someone who needs that. The crazy one must be Taribo West when I was playing for Inter. A big christian Taribo and after a while he became a pastor back in Nigeria I think. He was gathering people in Milan in his apartment and preach. But the funny side was before games; he would bring everybody together in the dressing room, the staff, the coach, everybody and he would start preaching. It wasn't like a "come on guys" like a pep talk. It was proper preaching [chuckles], it was like "in the name of Jesus" and so and so "make Inter play today, and win" and bla bla bla. He would take so much time and so much energy, I think it was a way for him to get into the game and get his concentration. It's a ritual, so every time you just go into it and you follow the flow but you don't really believe in what he was saying, so there were some funny faces and players were a bit fed up, but because of his strengths and character you couldn't get away from it and you couldn't hide in the restroom or in the medical treatment room. Everybody had to be there and around Taribo who would open his book, put it flat into his luggage, put the same t-shirt on, then close the luggage and then start preaching. That was the craziest superstition I've ever been across in the dressing room. FF: You have played with numerous amazing footballers in your career, which one player stands out the most? NS: I would say that for me the one that stands out is Brazilian Ronaldo. When I joined Inter he was the best player in the world and in my eyes was on top of Messi and Cristiano, simply because he had everything. He had power, and he was just a genius you know. His decision making and the skills he had was just natural. He had the killer instinct...he was good with both feet, and the speed he had...he would almost never dribble left to right, he was always going forward. And he was a really funny guy, very relaxed and laid-back; someone you can't really take seriously outside the field, but on the field you'd rather play with him than against him. Training was always interesting because he was the best player in the world so you don't want to injure him so I was defending against him, but never 100%. I wouldn't take the chance to get him injured. Even if you ask Zidane he will tell you that Ronaldo is the best player he has played with or against. Even when he (Ronaldo) was injured, he came back twice from major knee injuries and even when he was a bit overweight in Madrid, he was still phenomenal. FF: What was the single most amazing football moment for you personally in your career? MS: I think my first major trophy back with United in 1999. I signed in September and in November we played (Brazilian Club) Palmeiras in Tokyo for the Intercontinental Cup. In theory it's the best trophy you can win when you're a part of a club. Being part of the team, starting that game and playing 90 minutes, and I played well. There weren't many French players at the time who had won this trophy and I was 22. So that was like "OK, I'm sitting on top of the world now", there is nothing better than that. Since you're young you play in tournaments, you win some trophies and you win some awards, but this is just amazing. Being part of that amazing team...that group was just flying at the time. FF: In 2013 you made the move to MLS with Portland Timbers and then this past year you joined the newly formed Indian Super League with Chennaiyin FC. Have these two leagues taught you anything new? How did you feel living in America and India? MS: The MLS is a well established league and I've been amazed with the Portland Timbers. First of all the atmosphere. Before accepting to go on trial I've looked at videos on YouTube and I said "OK, this is an atmosphere I want to play in". There is no question about the MLS not being successful, because when I look at the Timbers Army (the club's supporters group) the support in that stadium and the singing no matter what, I thought "this is great, let's hope they sign me". Other than that what I've learned in the MLS is the peculiarity of the players position, when you can pack your back without any notice (the trade system), it's something you see in movies, but when you see your teammates just packing their bags and you don't see them after that, it's really weird; that's the down side of the league. Also the minimum salary, the $44,000 (per year) when you just graduate from college and you have an opportunity to take a regular job or play soccer...I understand why some players chose not to force their talent and work hard because they know that with a regular job they can earn more. It's different...it's a private league. Overall, I think the level of the league is good. It's nothing compared to the top 5 leagues in Europe...it could be there, but it's going to take some time. Everything is on the right track, especially with the academy system that is going to improve soccer in general. Regarding India, it was a totally new adventure. It's a brand new league so everything has to be built over there. The one thing that is already established and is amazing is the support. It's a matter of how they manage the competition and the grassroots programs going forward, because it's close to non-existent at the moment. Great experience and I'd go back if I had the opportunity; I actually may go back as a player or as a coach, or both we'll see. And "Incredible India", they didn't chose those words (to describe India) by accident, it's just an amazing country, amazing culture and the football was amazing. FF: In 2007 you were close to a move to Newcastle United, but refused to sign with the club because the controversial Joey Barton played there. Would you have signed for NUFC otherwise? MS: Yeah, I was considering Newcastle because of the history and the support of this club. Newcastle is a pillar of the English league and the EPL, and since the 'beautiful' David Ginola played for Newcastle I've been following this club. At the time, when Sir Alex told me that Newcastle was interested I considered it and might have been a Magpie for a little while if this guy (Joey Barton) wasn't playing for Newcastle at the time. But after what happened with my friend Ousmane Dabo I couldn't see myself sharing a dressing room with a person who attacked him. I couldn't do that. FF: If you had 3 words to describe Sir Alex Ferguson. MS: He used to say "concentration, determination and composure", those are his words and he has applied them to his career. I would say commitment, intelligence and savoir-vivre (translates from French as: living a good life while staying elegant and smart, or ability to live life well and with intelligent enjoyment, meeting every situation with poise, good manners, and elegance). FF: Which current young French players do you believe have a future that may help the national side bring back the days of 1998 and 2000? MS: Those days could be back very soon in France, in the 2016 Euro. Because France lost against Germany (at the 2014 FIFA World Cup) only by the small margin of 1-0 I think they've shown they're not far. The question now is how do you replace (Franck) Ribéry. You need leaders in this team to climb mountains, and winning competitions with the national team is (like climbing) massive mountains. They have great center-backs with Kurt Zouma who's doing very well at Chelsea alongside John Terry and Gary Cahill, and also Raphaël Varane is an amazing player at his age so I think the back is pretty safe. Hugo Lloris is doing great with Tottenham and Pogba, what an amazing player. Maybe it's a shame that Samir Nasri is not having a love story with the French National Team so far, but I think this team has enough talent to at least reach the final of the next Euro and World Cup, there's good potential. Let's hope they find the attacking flair and charisma at the number 10 position. Or someone who's a play-maker who will take charge. Of course, in the French history you look at Platini and Zidane [chuckles] so you expect someone to step up. In "the new" football you can change and play without a play-maker, but still you need someone who will lead and right now Karim Benzema is the one (doing that) up front, but France needs someone who can create that link. 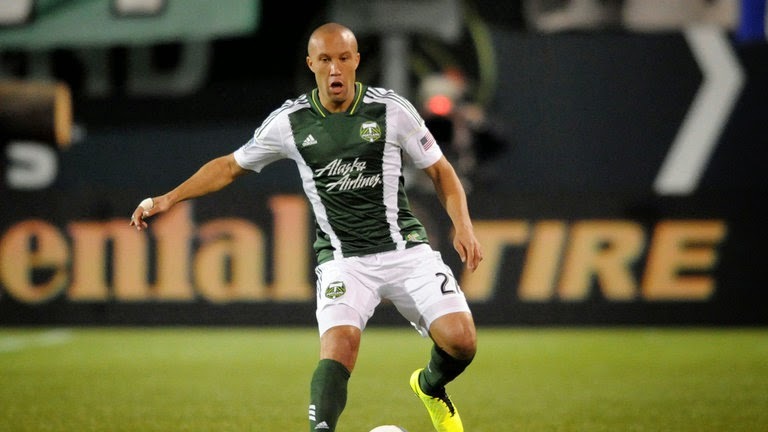 FF: What's next for Mikael Silvestre? MS: I am going to attend the 'A' coaching license in Frisco, Texas in April, and for the time being I'm working for beIN Sports out of Doha, Paris and Miami where I'm doing game analysis, which I like because you stay in the game, you get to watch football and you view the games the way a coach would look at games. I don't look at one particular player, I look at the whole combination...it's a good transition. If there's an opportunity in the ISL I may go back and be involved for another 3 months. Plenty of work to do for me. Who knows, I might get a job at the MLS one day and that would also be a good opportunity. I'm keeping my options open. After my long career everything is about sharing my experience, my knowledge, my vision and enjoying what I've been doing for so many years. Of course I also have my own French Agricole Rhum Company, R. St Barth (www.rhumstbarth.com/) which keeps me very busy. On behalf of the staff here at FootyFair we would like to thank Mikaël Silvestre for taking the time to answer our question and wish him the best of luck in his future football endeavors.